With a tranquil lake-side setting and 980 seats, this is the perfect place to host your next event! Welcome to the Preston Arts Center, located on the campus of Henderson Community College. In this unique lake-side setting, the Preston Arts Center's concerts and shows embrace a wide variety of the performing arts such as music, dance, drama, and comedy. We are the Center For It All! Preston Arts Center sponsors the On Stage series with support from The Guild. This casual concert series has the audience sitting on stage for an up close and personal experience. The concert is free to the public and only last about 1 hour. In addition, there is a drawing for tickets to upcoming events and complimentary java shakes (our signature drink). Watch for upcoming performances! Supporting the instructional programs of Henderson Community College. Henderson Area Arts Alliance (HAAA): presenter of a full season of main stage and family shows. Henderson County Schools: utilizes the Center for many of their band and choir concerts plus their annual musical production. Henderson Community Theatre: the volunteer theatrical company presents 2 productions each year. Ohio Valley Art League (OVAL): sponsors many art exhibits such as the Kentucky National Wildlife Art, The Art of Recycling and Winter Wonderland. 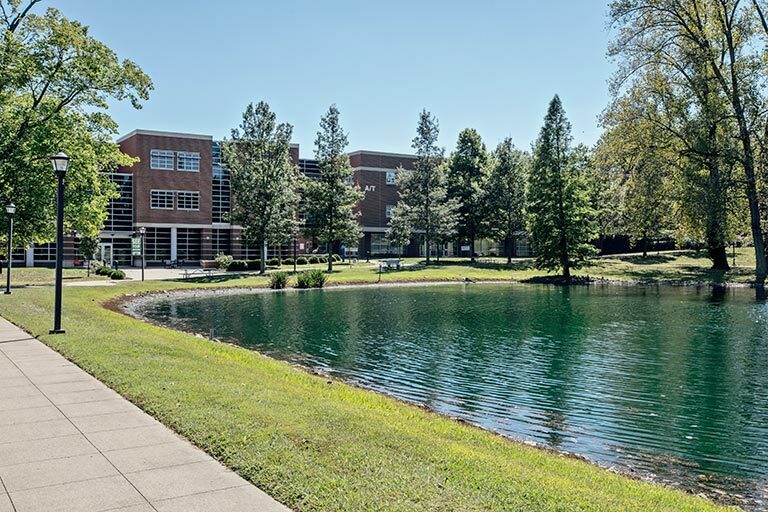 Located on a scenic 100 acre campus three miles southwest of downtown Henderson, the Preston Arts Center is located at 2660 South Green St, Henderson, KY 42420.